‘The LEGO Movie 2’: New Poster Heralds the Arrival of the First Trailer!!! Check It Out!! | Welcome to Moviz Ark! ‘The LEGO Movie 2’: New Poster Heralds the Arrival of the First Trailer!!! Check It Out!! Before you get a trailer, ya gotta have a poster. 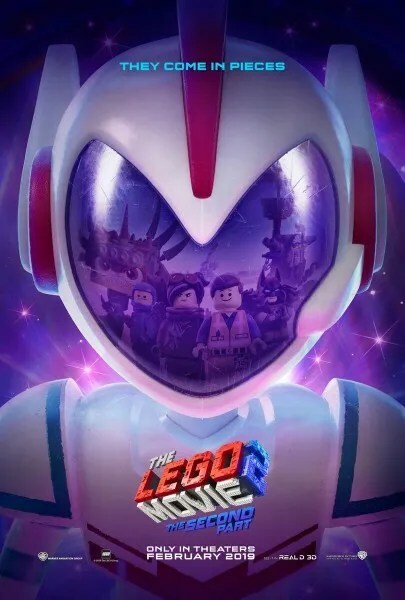 So it’s a good thing that Warner Bros. has unveiled a new one-sheet for The LEGO Movie 2: The Second Part since the first trailer for the highly anticipated animated sequel arrives tomorrow! Starring Chris Pratt, Elizabeth Banks, Channing Tatum, Will Arnett, Jonah Hill, and Tiffany Haddish, director Mike Mitchell and co-director Trisha Gum‘s The LEGO Movie 2 arrives on February 8, 2019. ← ‘White Boy Rick’ Trailer: Matthew McConaughey Takes on the 1980s War on Drugs!! Check It Out! !